Handling those well meaning holiday guests. 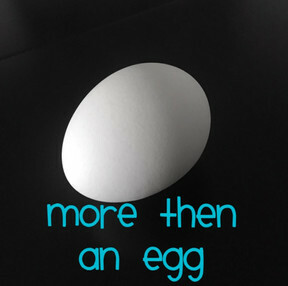 It’s been well over six months since I have found myself able to contribute to the blog world. So many topics to choose from but I decided that with the holiday season creeping up on us it was time to give some Good to Know info. Holidays bring out the cheer and excitement that no other time of year can compare too. But it also brings out the chaos, manic schedules and sometimes those dreaded visitors. Whether those visitors are relatives, friends or casual acquaintances it can add to the anxiety for any new parent. Now don’t get me wrong, we all love and appreciate visitors who come to help celebrate the holidays, it’s just we would rather some of them keep their opinions to themselves. Here is a short list of opinions that those sometimes “well meaning” people freely state and some ways to combat them. Lets start at the beginning of parenthood in pregnancy. When ladies find themselves due around the holidays it can add a new dynamic with visitors either patiently, or not so patiently, waiting for the big day of arrival. Giving a helpful reminder, to all who are questioning, that a “due date” is simply a “guess date” and that as the mother to be you have limited control on when the newest family member decides to make their arrival can sometimes end any further remarks. However, we can’t all be lucky enough to have understanding and patient visitors so here is a wonderful article (https://www.ncbi.nlm.nih.gov/pmc/articles/PMC1595289/) that lays out the truth behind the risks of induction and more importantly the reason a baby needs to decide on their day of arrival. Those last weeks and days are extremely important with development for baby and also the progress of labor when it does begin. It’s not about others having the opportunity to meet the baby at their convenience, in this scenario it’s most important for mom to be, baby and their bodies to be ready. Next area of input from visitors tends to be whenever they decide that your breastfeeding journey should be over. Whether they believe that should be at 3 months, 6 months, a year or older doesn’t truly matter since the whole decision is not of their concern. Of course politely responding with “we will decide the best time to end our breastfeeding journey” can usually deter any more input. However, for those strong willed family and friends try referring them to the American Academy of Pediatrics statement which “recommends that breastfeeding continue for at least 12 months, and thereafter for as long as mother and baby desire. The World Health Organization recommends continued breastfeeding up to 2 years of age or beyond.”* With that strongly worded statement it can leave little to discuss, but if they choose to continue to push their agenda on how you should feed your child you can easily decide its feeding time and give them a cue with a swift release of your breast. Ironically in this day, pulling a breast out to feed your child can still clear a room of visitors. Lastly another big topic for visiting family and friends over the holidays is when solid food should be given. This topic can be for breastfed or formula fed and usually plays into the topic of weaning. Some first time parents find it hard to say “no, please don’t feed our baby any solids, their digestive system isn’t ready” or “please respect that we will decide when our baby is prepared to eat that”. Especially when it happens to be an older family member or close friend who desperately wants to see the cute, disgusted or excited fast of a babies first taste of food. Try letting them know that every baby develops differently and there are signs to wait for to know your baby is ready to start solids. Those signs are holding their head up on their own with good control, sitting up on their own without any props, opening their mouth when food comes their way, being able to move food from the spoon to their mouth instead of pushing it back out and also their overall age is a big indicator. The AAP recommends breastfeeding as the sole source of nutrition for your baby for about 6 months. When you add solid foods to your baby’s diet, continue breastfeeding until at least 12 months. You can continue to breastfeed after 12 months if you and your baby desire. Check with your child’s doctor about the recommendations for vitamin D and iron supplements during the first year. ** With that statement you can reassure the “well meaning” loved ones that your child is receiving the exact nutrients they need during these early years. With these articles to refer too, some strong willed insistence and maybe a sprinkle of ignoring here’s to hoping your holiday season can be opinionated free! It’s been awhile since I’ve set a blog into the atmosphere. I am here to help encourage the discussion about the cost of a lactation counselor. I want to break down the cost of purchasing support from a lactation counselor versus the cost of formula feeding. As a certified lactation counselor I get asked quite frequently about the prices I charge for support. Most feedback I get is positive but sometimes I hear “well thats a lot for right now” and will not be contacted again. We all know or have heard of the benefits of breastfeeding and I am very supportive on the families choice to choose between breastfeeding and/or formula. However, I also believe that support is crucial with breastfeeding and I want to be sure it’s something thats always available in my community. Families can have the best intentions to breastfeed from the beginning but along the way become discouraged and feel forced to using formula. Sometimes the benefit of a lactation counselor can be misunderstood until the service is explained more. My main service with lactation is a home visit which cost $50 for 2 hours. This service are usually requested between the first day after being released from the hospital all the way to when the baby is a month old. I prefer clients contact me as soon as they notice an issue or have any concerns. If not to setup a home visit, but to just talk about the situation before it gets worse. I don’t want anyone to feel discouraged with breastfeeding or even worse to be in pain while breastfeeding. The home visit I conduct is minimally 2 hours long and involves a full discussion of birth, first latch and any concerns that follow. We review what has been attempted and how the family is feeling about the overall breastfeeding journey. I also give a quick overview on how a good latch can be made and any additional advice that might help. During the visit I perform a latch evaluation, where I watch a feeding to see if there are any areas that need improvement. A latch evaluation consists of an average 17 areas I’m professional trained to watch and review to verify the latch is the best quality. This visit and discussions are done with myself, the mother, partner and any other supportive family members who may have questions of there own. I encourage the full family support and participation with feedings. Following the home visit I am available by phone, text or email to continue supporting my clients through any issues that may arise. Breastfeeding feels like it changes from day to day due to the fact that newborns learn, grow and change so quickly in the first few months. I continue one on one contact with my client until they give me validation they are comfortable and happy in their breastfeeding journey. 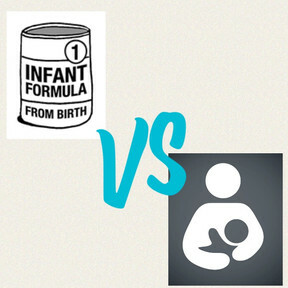 Now to formula and what it can provide, according to Baby Center*, the average cost for formula is between $60-$100 a month. I know from personal experience with using formula with my first son that the average monthly cost for our family living in CA was closer to $150 a month. It was a significant addition to our monthly bills. Formula of course doesn’t have the added health benefits that breastfeeding does but it is overly nutritious to keep our children healthy and fed. With that being explained it shows that the support of a lactation counselor is less then half of the monthly cost for formula. I know for many reasons we all can’t succeed at breastfeeding, as I myself couldn’t with my first, but I do know that with the correct support from a professional, it significantly increases your chances of successfully breastfeeding. I was able to find the support to have a successful breastfeeding journey with my second child and have been blessed enough see that result in many of my clients. The next time you hear someone say that breastfeeding is difficult or they can’t seem to decide between formula or breastfeeding please give them this information and let them know that assistance is here to help them decide along with the support they deserve in their choice. During pregnancy most first time moms, second time moms and I believe, any amount of time moms, worry and think about their babies birth. The truth is, we never know. Every baby, pregnancy and birth is different. But before we rush off to stress about birth scenarios, our options for it and “what could be” let’s take a moment and fully embrace the beauty of birth. Society can make us feel as though happiness is finding out you’re pregnant, sharing with your loved ones, taking photos of the growing belly and then it’s cut short while waiting for this horrible process of birth before the happiness returns with the true miracle of meeting our newborn. What?! Birth is part of this beautiful process! Not some horrible incident in the middle. The miracle of life doesn’t happen without birth. No matter how it happens or the way a mother chooses to birth her child, it’s still a glorious and beautiful process. Our bodies create this amazing life and then delivers it to us as we need. Why look at that as a terrifying process instead of the beautiful gift and delivery it is? 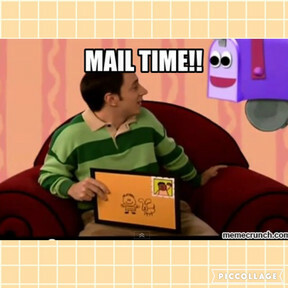 I know mail delivery is truly no comparison to birth but there’s excitement seeing the mail being delivered when we are anticipating an Amazon order. Right, ladies? That pile of mail may include some not-so-splendid pieces and might even have some ugly horrible bills to emotionally contend with. However, at the end of that stack, I get a beautiful full box of Amazon goodies. I chose those goodies for myself and they have been delivered directly to me to cherish for a lifetime. Even through the ugly process of opening mail I still get the happiness at the end of the day. Bills are paid, lights remain on, and life continues in bliss. I want my clients to see their birth experiences as a beautiful process they get to experience however they wish. On their own terms, in the conditions they choose and while making their choices without judgment. Judgment-free is most important. My mail has different envelopes, magazines and advertisements than yours, but that doesn’t make it any less valuable to me. Same goes for birth. All are different, all women can see their birth as a success or failure, and no one should judge them for that. Instead let’s celebrate the birth and snuggle that adorable newborn that is here because of it. Late night Midweek Meltdown to gather support from you. Thats right, this Doula is needing some support in figuring out where my nighttime routine went wrong. 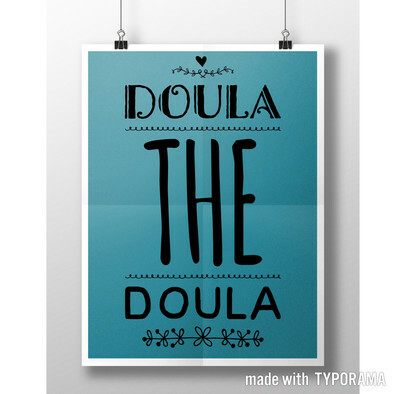 As a professionally trained postpartum doula I’m successful getting clients babies off to blissful happy sleep. However, at home i’ve seemed to have lost my uninterrupted nights. I’m talking sleep walking, nightmares, bad guys and HEART ATTACKS. Watch the video to view my plea and leave a comment for support. 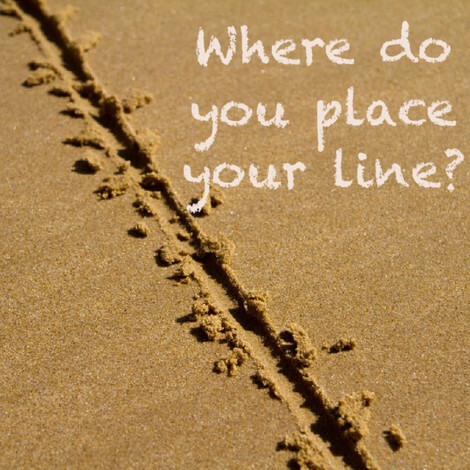 We all have a line we draw in the hypothetical sand on what we will/will not do or participate in. Some might think of it subconsiously, but I’m more of a visual thinker, so I think of it as a line drawn in the sand that defines my “will” and “will not.” I think this goes for every area of life, but today’s focus is on breastfeeding. The first time I was made aware that we all draw lines on our comfort level to breast milk was when my husband was feeding my first born with a bottle of breastmilk. My son innocently spit up some milk on my husband’s arm and the reaction he produced shocked me. You’d think my son just spit up acid as quickly as my husband put him down and ran – yes ran – to the sink to wash “that stuff off.” I stared in shock as he vigorously scrubbed his hands, wrists and arms as if he was prepping for brain surgery. I mean, didn’t he realize how much hard work it was to produce such a vital thing for our son to thrive and grow healthy with? Why was this substance so detested by him when I was excited and proud of every drop that came out of my body? I never confronted him about this event, but he has now been made aware of it while reading this blog post. At the time I was so focused on simply picking up my newborn son and wiping his sweet face and neck of the regurgitated breastmilk that I simply forgot to react to my husband’s rudeness. However, from that feeding on I would cringe from shame every time my son spit up anywhere on my husband. Let’s be clear: my first son had violent reflux, so there was a whole lot of cringing going on for me. Weeks later, after the initial incident, I was telling a close friend about it. She also happened to be breastfeeding and started to tell me how her husband had a disturbed reaction to her breastmilk – when he saw her taste it. She had simply tasted some breastmilk to be sure it wasn’t spoiled before feeding it to her daughter and her husband had jumped up and snatched the bottle from her hand. I had to use every strength of my willpower to control my facial features to not show how shocked, disturbed and grossed out I was. At that moment I realized my hypocrisy in this breastmilk discussion. Clearly she was comfortable tasting breastmilk as much as I was rubbing it into my skin. se same items. There is no “one size fits all” parenting style. If there was, that would make life real easy and boring. Kids are meant to keep us on our toes, to show us the strength and durability we have. Let’s be honest, every moment of the day, we are striving to keep someone alive to the best of our abilities. Who’s to judge that? Let’s all just draw our lines and respect all the others we cross, or don’t, along the way. Here is some helpful advice for anyone who is expecting a newborn, has a newborn or plans to ever have children. I discuss this issue during the lactation course I offer as a Certified Lactation Counselor and also as a labor doula, during the prenatal visits. Visuals are helpful and some can be reused as a delicious meal. Here I go, Midweek Meltdown, for your viewing pleasure. I believe, that as humans, we all have an area we cannot tolerate. The “ick factor” I speak of is when an area of life brings up that familiar disgusting bile rising in the back of your throat. This is my confession regarding my “ick factor” and some important areas of questions for other parents to consider. Discuss this with me, let me know I’m not alone and judge how I’m handling the tooth fairy scenario thus far.